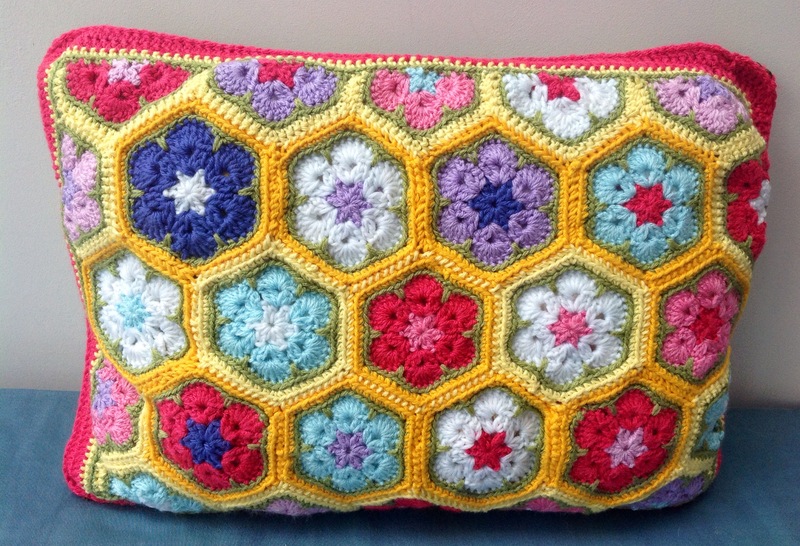 African flower cushion – Ta Dah! 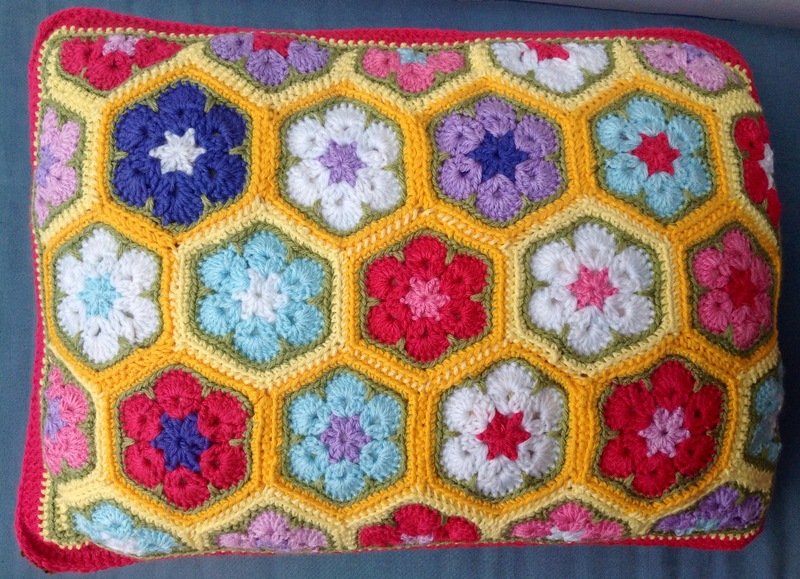 In a previous post, I showed off the lovely African flower hexagons I made while on holiday in South Africa. I decided that I needed to make something out of them as they were just too pretty to be put away in a drawer. 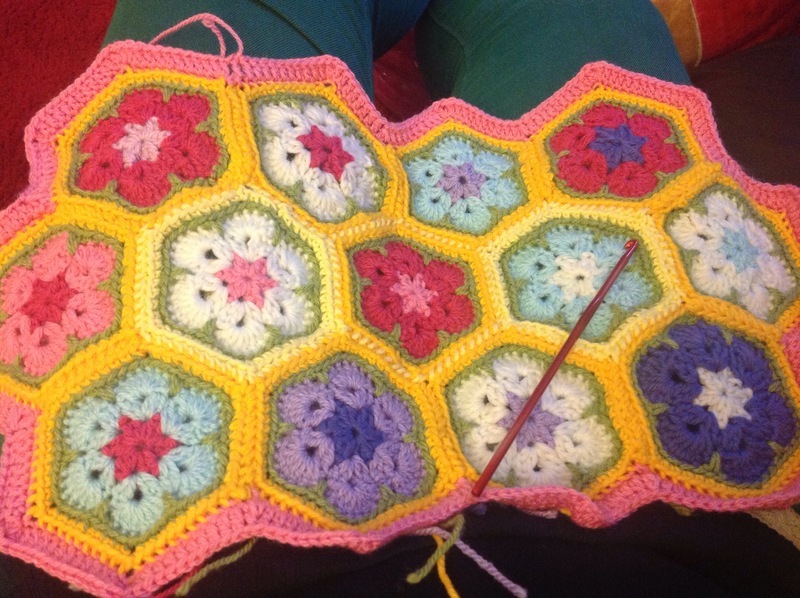 I only had small bits of yarn left so I set about making a few more hexagons and then joining them all together to make a cushion cover. Now for the edging part 2! I did a round of double crochet in green and then another round of double crochet in yellow, followed by two rounds of treble crochet in gorgeous Stylecraft Special DK in Pomegranate. We already had an olive green silk cushion that I’d made a few years ago and didn’t really love so I unpicked it and used one side as the backing for my crochet. I worked blanket stitch all the way round my silk with the Pomegranate yarn and a tapestry needle. 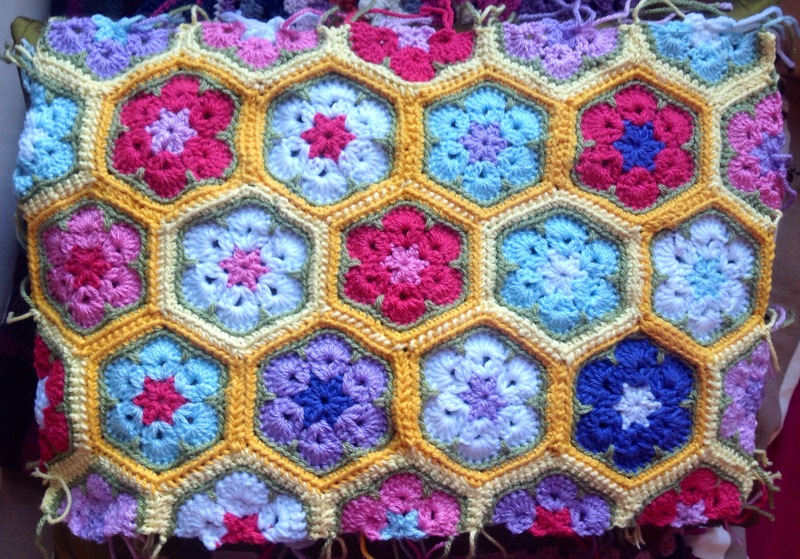 I then joined the crochet to the silk by slip stitching through both loops of crochet and the blanket stitching. Et voila! 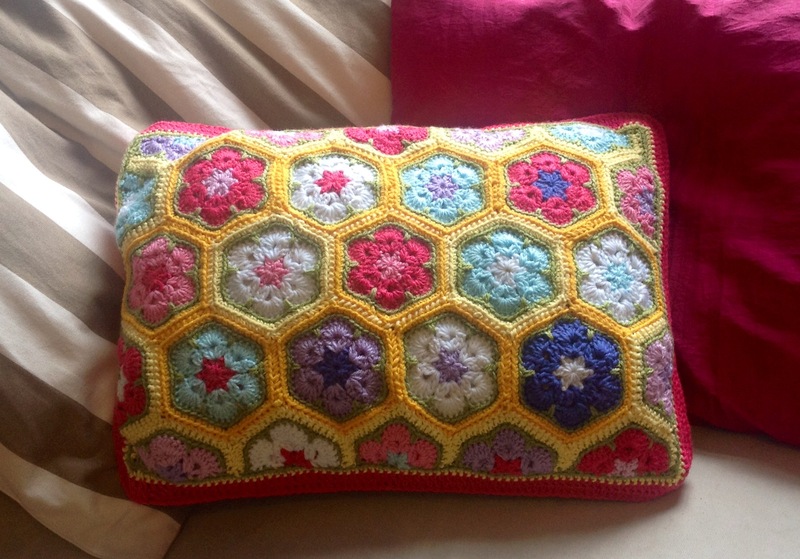 The end result is a very pretty cushion which looks gorgeous on our sofa. 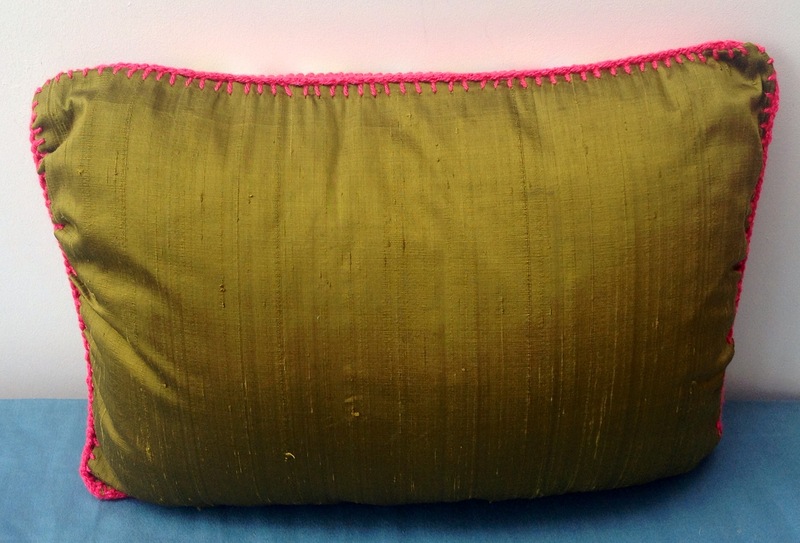 I love the yellow, green and pink together, and it’s a lovely reminder of our holiday.